Don’t do this to us, Hugh Jackman. The Australian actor, who hung up his adamantium claws in Logan last year, has revealed that he has an announcement coming our way this Thursday. 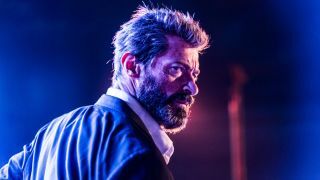 With Jackman being so closely tied to his role as Wolverine, and currently in the middle of an ongoing online ‘feud’ with Ryan Reynolds, it’s got many fans on the edge of their seat, wanting a potential Wolverine/Deadpool movie. The announcement, which is being described by Jackman as “exclusive” is coming our way via Australia’s The Today Show on Thursday. The news team even describe it as being “huge” and “worth the wait.” With Australians being the time-travelers they so clearly are, that means the majority of the rest of the world will find out the news on Wednesday, November 28. Twitter, of course, took it in their stride and was level-headed with responses. Of course not. They went ape – and immediately got excited over a Wolverine/Deadpool movie that’s unlikely to ever happen. For one thing, the Fox/Disney deal just makes this convoluted and, for another, there are a couple of whispers about the announcement being for a The Greatest Showman Broadway run. But there’s hope. There’s always hope. Ryan Reynolds revealed to Entertainment Weekly earlier this year that he’s been badgering Jackman for a team-up movie for a while now. That, when coupled with Fox’s slate of characters possibly getting a fresh start under the Marvel banner and Reynolds taking hilarious cheap shots at Jackman on Twitter, might just persuade ol’ Wolvie come out of retirement one last time. Oh, and there’s the off-chance that an Avengers 4 trailer lands just hours before Hugh Jackman’s announcement. Imagine if that was related. Goosebumps. So, come on Jackman, you big tease. We’re all building this up to be bigger than it ever should be – but you got our hopes up in the first please. Would it help if I said please? Maybe one day soon we'll add a Wolverine/Deadpool team-up to our extensive list of upcoming movies. Please, Hugh. PLEASE.